These days, just about anyone can get the equipment and brew up a batch of beer. But to make a mark in the brewing world—to dream up a truly great beer, start a brewery, and launch a tap house from scratch—takes real talent, determination, innovation, and hard work. Today’s craft beer scene includes a wild array of saisons, sours, and hop-tastic options. Beer lovers should be grateful that an enterprising group of Banana Slugs is applying its creativity, craft, and adventurous spirit to the ancient art of brewing. We present a list of alumni breweries for you to explore. 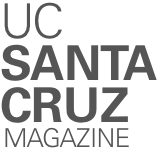 Drop in for a pint—who knows, maybe you’ll get a chance to talk about your UC Santa Cruz days.